Aneka is the first of its kind, an anthology of poems spanning the decade 2000 to 2009, in Telugu, and the first publication from the Saaranga Books. 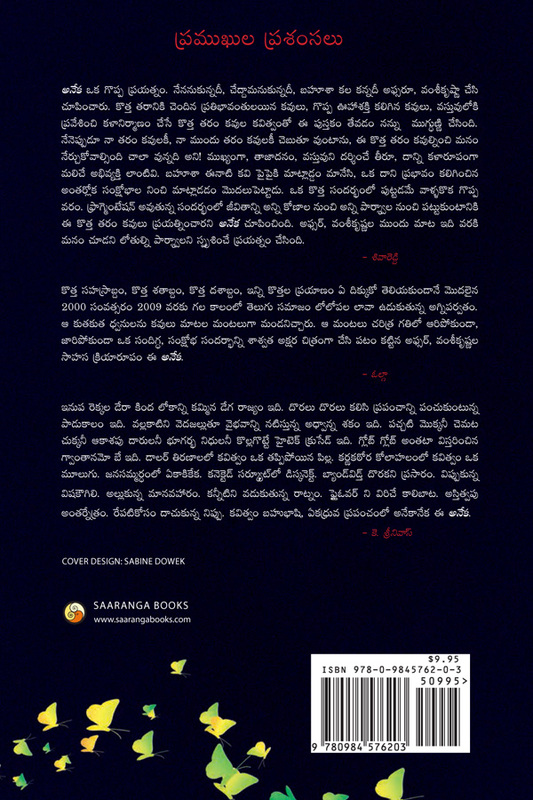 Published in December 2010, this anthology immediately received glowing reviews and generated a well-focused debate on the post-2000 Telugu poetry. 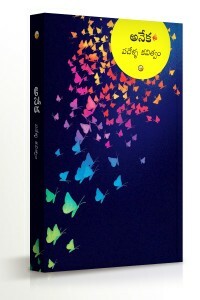 Aneka was praised by poets and literary critics evenly for its focus on diverse and multiple streams of poetry in Telugu. 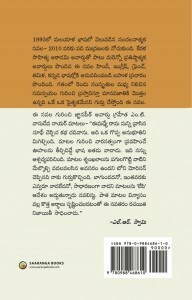 Literary critics praised this anthology as a poetic document of the post-2000 Telugu social and cultural life. 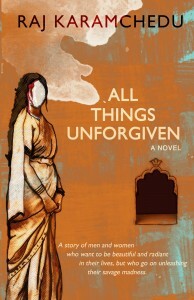 Compiled and edited by an accomplished Telugu poet and internationally acclaimed South Asian scholar, Dr. Afsar and a well-known Telugu poet and cultural critic, Vamsi Krishna, this anthology is a unique gathering of the works of nearly two hundred poets. With a critically acclaimed essay on the state of Telugu poetry by Afsar and Vamsikrishna & a Publisher’s Introduction by Raj Karamchedu. 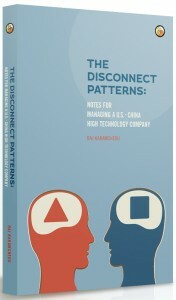 ©2010-2014 Saaranga Books. All Rights Reserved.